If you already follow me on Instagram, then you will know that I have been on the road for most of this month. It has been a crazy few weeks with over 10 flights and despite my best efforts, it wasn’t always possible for me to keep my skin looking its best. Thankfully, everywhere I went I was able to find a Sephora to buy some products to deal with the issues my skin was having as a result of all the travelling. These are my favourite picks from my purchases and the ones that worked the best. 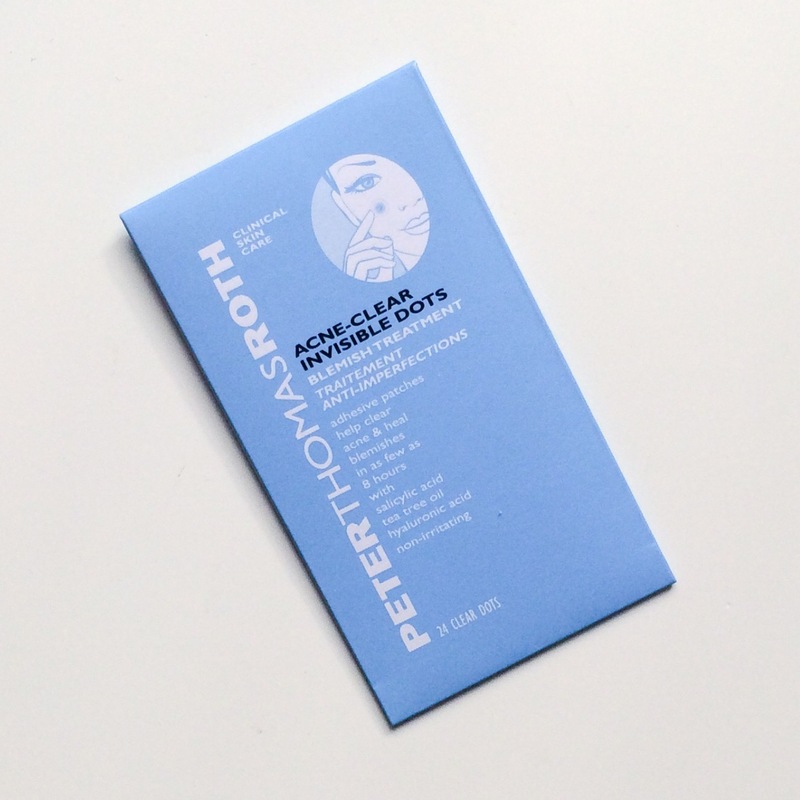 Even though I had packed a few of my favourite masks, I needed something more convenient and easier to use which is why I opted for a sheet mask. The reason I chose this one is because it contained low enough doses of tea tree oil and salicylic acid that it would fix any blemishes that were trying to form without being too harsh or drying. I also loved that it contained skin brightening ingredients like niacinamide and glutathione because dull skin was really starting to become a problem after the second week. Overall, I really liked this mask and repurchased it several times. I enjoyed how thin it was and how soothed and visibly brightened my skin looked after wearing it. I really like sheet masks for occasions when time is limited because I would either sleep with it on or pat the ingredients in and go straight to bed, no washing the mask off or any extra effort to remove it and sometimes I really need that. My most recent on the road purchase and one I plan on using tonight, I picked this up after having such great results with the Clearing Solution mask. I love that this mask is in two parts for (hopefully) a better fit and that it claims to improve dullness, uneven skin tone AND dark circles because I’ve definitely got a bit of all of that going on right now. It’s got a great mix of skin brightening ingredients with galactomyces ferment filtrate, niacinamide, licorice extract, vitamin c and pearl extract. I’m hoping this combination will give my skin the boost it needs and bring back my glow. Acrylates Copolymer, Alcohol Denat., Butylene Glycol, Epilobium Angustifolium Flower/Leaf/Stem Extract, Melaleuca Alternifolia (Tea Tree) Leaf Oil, Phenoxyethanol, Phytosphingosine, Polysorbate 80, PVP, Sodium Hyaluronate, Sodium Metabisulfite, Vinyl Caprolactam/VP/Dimethylaminoethyl Mathacrylate Copolymer, Vitis Vinifera (Grape) Seed Extract, Volcanic Ash, Water/Aqua/Eau. Like I said earlier, despite my best efforts, all the travelling, sleeplessness, poor diet, lack of water and high stress etc eventually made its way to my face and I was joined on my travels by a couple of pesky uninvited (blemish) guests (boo!). Luckily, because of my great skincare, they were not bad at all BUT they were still there and had to be dealt with. I decided to get these because I have been eyeing the ones by Cosrx and thought they would be great to not only treat the blemish but also protect it, too. I wore these on the plane and even to Whole Foods once (I forgot it was on lol) and they really made a difference by significantly reducing redness and swelling. They contain 0.5% salicylic acid and come in two sizes to sufficiently cover any blemish. I love how travel friendly and hygienic these are and I think one of the main reasons the blemishes healed so quickly is because they were covered which means I couldn’t touch them (and therefore further contaminate them/spread more bacteria) which is so important when you have a breakout. Lauroyl Lysine, Silica, Salicylic Acid, Populus Tremuloides Bark Extract, Soil Minerals, Aloe Barbadensis Leaf Juice, Melaleuca Alternifolia (tea Tree) Leaf Oil, Litchi Chinensis Fruit Extract, Oryza Sativa (rice ) Extract, Disodium EDTA, Limonene, Phenoxyethanol, Sodium Dehydroacetate, Sorbic Acid, May contain (+/-) : Mica, Titanium Dioxide (CI 77891), Iron Oxides (CI 77491, CI 77492, CI 77499). Before my trip, my skin was doing so well that when my original bareMinerals powder foundation ran out, I wasn’t in a rush to look for a replacement (plus, I had planned on researching some green beauty alternatives to buy instead) so I was without any base while travelling. Thankfully, this product had recently been released and it helped me so much. It contains salicylic acid, aspen bark, tea tree oil and aloe vera to reduce redness, soothe and heal the skin which is exactly what it did. I always hate wearing makeup on top of blemishes because I was afraid it would make them worse but this does the exact opposite. 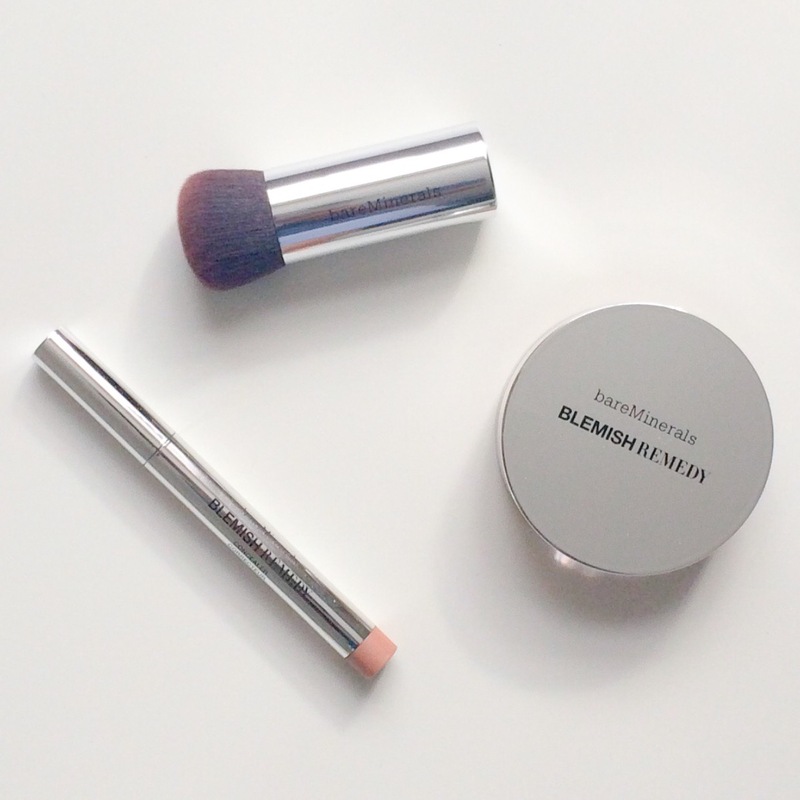 It’s light to medium coverage and paired with the incredibly soft brush, gives a flawless but natural looking finish. Polyethylene, Squalane, Methyl Dihydroabietate, Soybean Glycerides, Caprylic/Capric Triglyceride, Octyldodecanol, Populus Tremuloides Bark Extract, Melaleuca Alternifolia (Tea Tree) Leaf Oil, Barium Sulfate, Kaolin, Disteardimonium Hectorite, Water, Micrococcus Lysate, Ganoderma Lucidum (Mushroom) Stem Extract, Serenoa Serrulata Fruit Extract, Propylene Carbonate, Limonene. May Contain (+/-): Mica, Titanium Dioxide (Ci 77891), Iron Oxides (Ci 77491, Ci 77492, Ci 77499). Containing the same skin loving ingredients as the powder, I bought this on the recommendation of my sister who uses it daily and loves it. This concealer stick is incredibly quick and easy to use as the pen shaped tip gives precise coverage and because it’s so creamy it blends seamlessly for a really natural, undetectable finish. It is definitely medium to full (buildable) coverage and I loved this for days when I only wanted to cover my blemishes and nothing else or for when I wanted to look fully “done” for a night out. It works amazingly well under the eyes too because it’s so lightweight and didn’t crease or feel dry. I loved that I could use this over my spots and not worry about making them worse and the only thing I would ask for is a better colour range because I am in between two right now but other than that, this is a pretty great concealer. I am still currently on the road but my skin is doing a lot better thanks to these products and despite the reason for needing them, I am pretty pleased that I have discovered some new products that tackle blemishes so well. 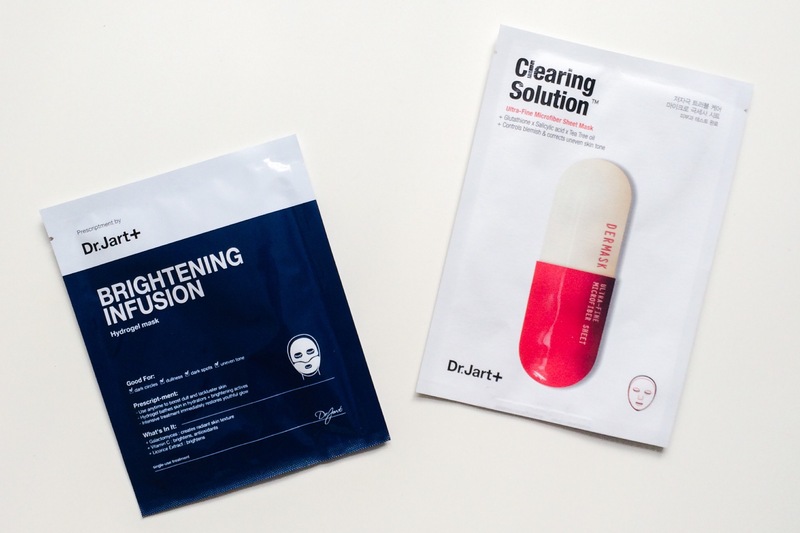 I’ve been wanting to try the Dr. Jart sheet masks 🙂 Thanks for the review! 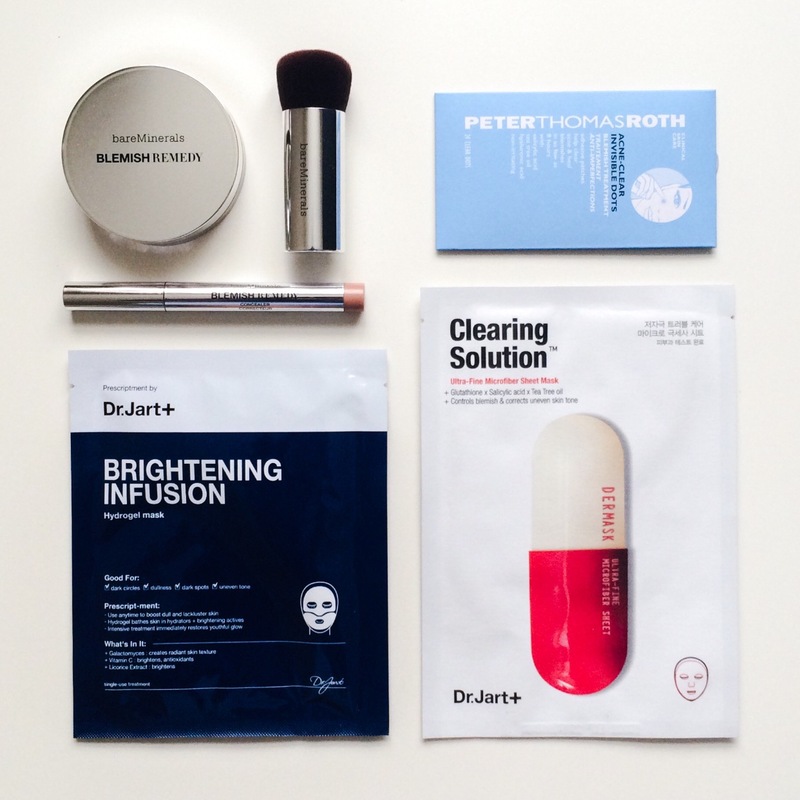 Catching up with all blog posts 😀 love the concept of that sheet mask.